While it’s a very basic style of game to make, there are a couple of half-decent anagram-based puzzle games out there. Letter Quest and Spellspire were very similar games that saw you doing battle in an RPG-style world using jumbled up letters to create longer words than your opponents in order to progress. Generally the issue with those games is that they got pretty boring after a while and definitely overstayed their welcome but for a while they were definitely fun. 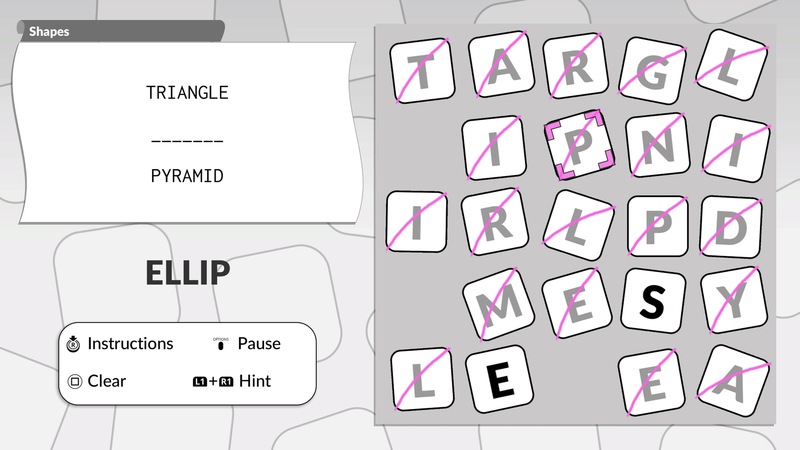 Well, Mixups by POWGI (Puzzle On Word Games, Inc) comes to us from English husband and wife team Lightwood Games and it answers the question of what would Letter Quest and Spellspire be like if you took out everything but the anagrams. The RPG action, the loot, the combat, the choice and the colour. All gone. 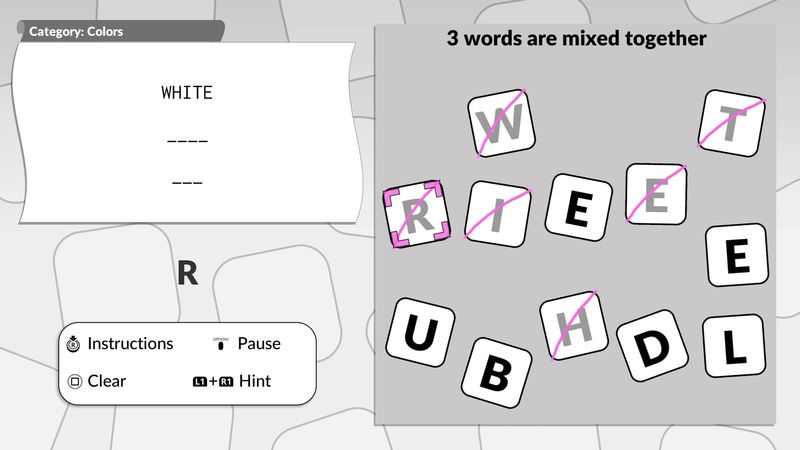 What you’re left with is a stark, grey word game that gives you 300 or so levels where you are presented with a selection of letters, a category and three words to guess. You choose your letter using the left stick and select it with the button. You then spell out your guessed word and hope it is one of the three that is being asked for. It’s a very simple concept and one that is pretty easily explained by one look at the screenshot above. 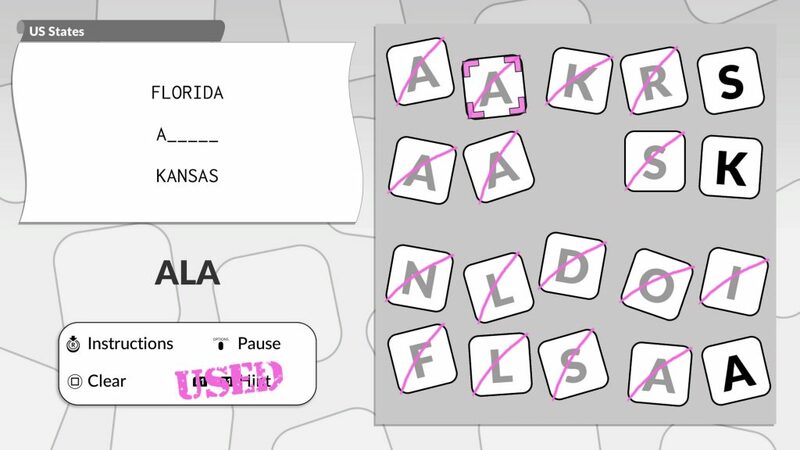 The category is US States and I’ve guessed Florida and Kansas correctly and am about to select Alaska in order to complete the level. Pressing and gives you a hint – specifically the first letter of one of the words – and can be used three times without penalty. You may as well do this because it makes things slightly better for you in the same way that crossword puzzles cross over and therefore give you a few letters for unanswered clues. Anyway, that’s basically it. Some categories will fly by, for example Boys’ Names or US States, while other ones might be a bit too ambiguous (Green Things) or too specific for people who don’t know much about that subject (Birds). The words aren’t randomly generated though and so you’ll find the answers out there attached to platinum trophy guides. The game does indeed offer a platinum trophy which will either take you a few days to get or a few minutes if you use a guide and you can repeat the process on the Vita as the game is cross-buy and the handheld version carries its own trophy set with another platinum. So ultimately the target demographic, puzzle fans, probably won’t enjoy the game all that much but trophy whores will and the game will ultimately end up just being a few minutes of busy work for those guys. In terms of presentation, the visuals are very stark and the chirpy background music will get on your nerves within a few minutes. It can be turned off though, so that’s something. After each level a cheerful dog shows up as a static image and makes one of a handful of comments that soon repeat themselves before you are moved onto the next category, even if you’ve already beaten that category. All this makes the game a little tricky to review. I’m well under my usual word count because there’s nothing else to say about the game. I want to be positive but in the end I can only be constructive so here’s a list of things that I would change. The hint system would be more interesting if it gave actual hints and not just the first letter of each word. Games need more than three colours. The soundtrack options shouldn’t just be between chirpy and silence, a chilled out ambient track would have been nice. If your dog character has three jokes, get rid of him. A couple of extra modes would be good – how about crosswords, wordsearches and a take on Boggle? Add a scoring system based on time and hint usage. 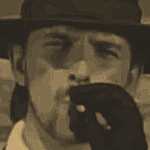 How about some local multiplayer options? Add an option to scramble up the letter placements for when you get stuck trying to guess ‘trapezium’ or whatever. Ultimately, Mixups is the equivalent of one of those word puzzle magazines that you used to get before you embarked on an uncomfortably long coach journey. Those things cost a couple of quid now and at least they come with a pencil. This is £6.49 and while that won’t break the bank, it feels like far too much for a game this simplistic. Not to worry, this will be a tenth of the price in a PSN sale eventually but even at that price it’ll be tough to recommend. Should you buy it? PBRALYOB OTN.